Returning to our roots and throwing the search tower lights on for the Lyttelton Poets. 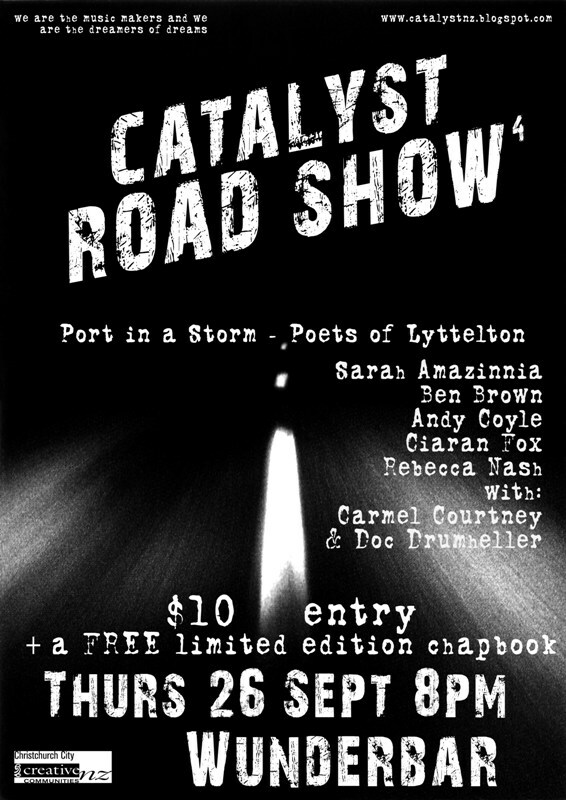 It's Road Show time again and it's rolling around to the Wunderbar to showcase the best of Lyttelton. Featuring Sarah Amazinnia, Ben Brown, Andy Coyle, Ciaran Fox and Rebecca Nash along with the musical stylings of Carmel Courtney and Doc Drumheller.